In a competitive world, practical experience is an invaluable addition to classroom learning. Richmond’s International Internship Program provides vital insight into a career field, experience in the global workplace, practical exposure to the demands of specific jobs and development of professional and personal skills. International work experience helps students test a potential career path while exploring interests and abilities in new ways. Working side by side with Londoners is the best way to gain insight into another culture, to understand different approaches and to prepare for the realities of working in a multicultural and interdependent world. Richmond has specifically designed the International Internship Program to combine an academic program and individual attention with a unique opportunity to study working life in Britain first hand with placements in London-based organizations. Internship students earn 12 credits for the semester. The program consists of intensive study of Contemporary British Culture, a 6-credit internship course consisting of internship seminars and an unpaid internship plus a 3-credit elective course taught weekday evenings. Check online at www.richmond.ac.uk to see what courses are offered in the evening. The ideal internship placement is a coordination between the skills and personality that an organization is seeking and those which a student presents. Each student should approach the program with cultural awareness and flexibility. This will enable the Internship Office to identify suitable organizations at which the student may intern. Placements are made with both small and large organizations, and selection is based on a number of criteria. Please note: Students must attend interviews with suitable organizations and understand that this is a competitive process. Final selection is always at the discretion of the organization and the Internship Program is not able to honor specific requests to join a particular organization or guarantee that students will be successful at interviewing. Interns use public transportation to get to work. 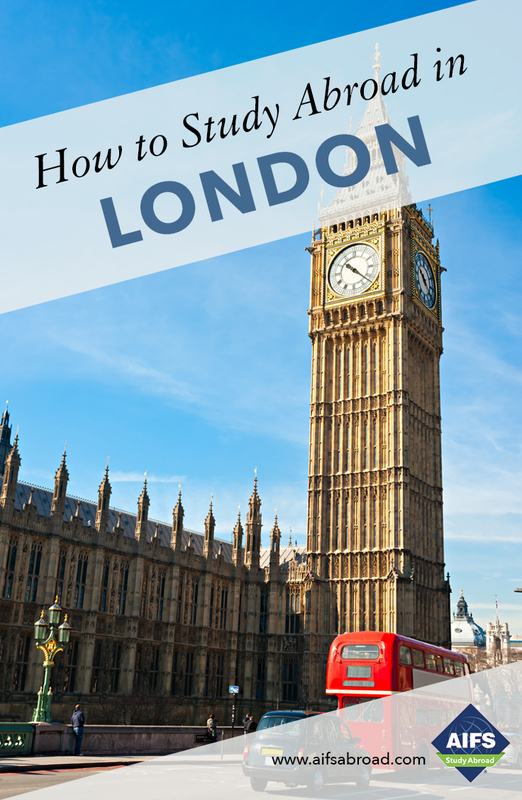 London’s extensive bus and subway network allows easy and quick travel throughout the city and students should budget around $200 per month for this. Student Advising In addition to the internship staff who support students on an individual basis throughout the program in the seminars, internship faculty advisors are assigned from Richmond faculty to monitor the internship. They are in regular contact with the student and the workplace supervisor and contribute to the academic component of the Internship Program grade. The original Richmond College, founded in 1843, was a constituent institution of the University of London from 1870 until the founding of the present University in 1970, which bears its name and occupies its campus. A second campus was later opened in the Kensington area of central London. This is where all upper division courses are taught and where most study abroad students live and study. The University is licensed to award degrees by the Department of Education of the state of Delaware. It is accredited by the Commission on Higher Education of the Middle States Association of Colleges and Schools, one of the regional accrediting bodies recognized by the U.S. Department of Education. It was the first university in the U.K. to have its degrees validated by both U.S. and U.K. authorities. Richmond has also undergone a successful full institutional review by the UK Quality Assurance Agency. Richmond’s faculty are leaders in their field, publishing and presenting research on a variety of different issues, including popular music, globalization, football (soccer), nationalism, politics, psychology, religion, science fiction, paganism, film, education, empire, propaganda, architecture, fundamentalism, philosophy, management consulting, foreign trade, colonialism and U.S. foreign policy, all of which are fed back into the classroom to enrich discussion and study. Small classes and personal attention plus a wide range of over 900 courses make Richmond an ideal study abroad choice. You will find Richmond both academically challenging and culturally enriching, a familiar setting in one of the world’s great cities. With an international student body Richmond has students from over 100 nations, leading to lively discussions, new perspectives and amazing world views both inside the classroom and out. Your time at Richmond will leave you with friends/contacts from across the globe and ready for a world where the ability to communicate effectively across national and cultural boundaries is as valuable as traditional academic achievement. The University Campus The upper division campus is located in Kensington, one of the best residential and most picturesque areas of central London, surrounded by places of enormous historical and cultural interest. Accommodations and classrooms are located close to Kensington Palace, Hyde Park, Royal Albert Hall, Natural History Museum, Victoria and Albert Museum and Kensington High Street with its lively mix of shops, restaurants, cafés and cinemas. The campus is complete with 4 computer labs, an extensive library and facilities for sculpture, painting and ceramics. The Center for New Media incorporates a video studio with editing suite and a photography studio with darkrooms. A cross-campus wireless network also exists.